Where has all my (not provided) gone? Now you may notice that the majority of your keywords are being listed as (not provided) which isn’t that useful at first glance as it looks like all of the useful data has gone missing. There is no way to retrieve this data now that the change has happened, so we’ll take a look through a few other ways of finding out similar data. 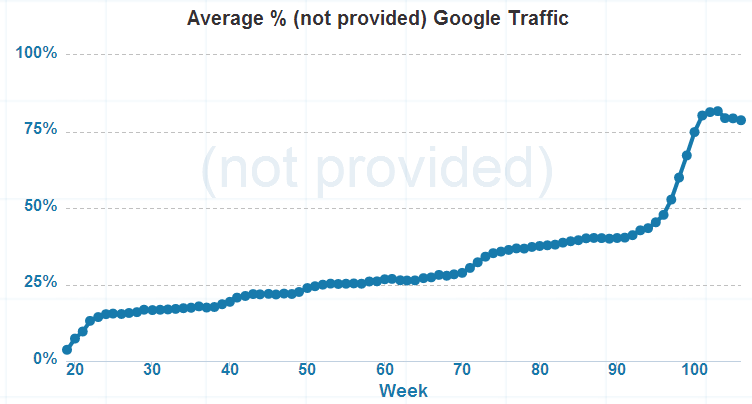 Since October 2011 Google has been steadily rolling out secure search for users. Secure search is when people are searching on https://www.google.com opposed to http://www.google.com (notice the ‘S’ in the first bit of the URL, this stands for Secure). The first step Google made to masking keyword data as (not provided) was when they automatically switched users to secure search when they were logged into a Google product (Gmail, Analytics, Chrome, YouTube, etc.). As more users continue to use Google products, more of your customers began to be included within the (not provided) bucket. 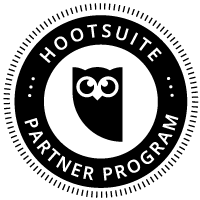 Over the past two years, this has continued to grow and has recently increased to almost 100% for many websites. This change happened when Google made the switch to default users to secure search when searching on Google. This change to secure search for most people means that keyword data is now being reported as (not provided) within Google Analytics. Previously reporting on Search Engine Optimisation work was straight forward, you could tell exactly how much traffic was coming to your website from specific keywords which you could then link back to any work that was completed to improve the keyword rankings and traffic for those keywords. This is what we have lost, the granularity. As the majority of keyword data is now being reported as (not provided) then this means that it is not possible to look at such a detailed level about what keywords people used to find your website. That being said, this isn’t necessarily a bad thing. While this granular level of reporting has disappeared and isn’t ideal, this change is actually forcing companies to focus on the important metrics when it comes to optimising their website which is good. We have always focused on the important metrics for our clients which are traffic, conversion rates and revenue levels. The change in (not provided) keyword data is actually forcing businesses to look at these metrics too, instead of focusing on individual keywords and vanity ranking metrics. As mentioned above, the important metrics to monitor for your website are traffic levels, conversion rates and revenue figures. When businesses are focused on these important metrics, the detailed specific data which has now been lost isn’t such a huge disadvantage. As long as traffic levels are increasing which is leading to increases in revenue then this can provide accurate reporting for Search Engine Optimisation efforts. Real Search Engine Optimisation work is all about focusing on your customers & potential customers, providing them content that is useful and engaging. This work doesn’t rely on being able to see the individual keywords your customers are using to find your website, it comes from knowing everything about customer needs. As mentioned earlier, this change is good for this exact reason. Previously businesses have been far too focused on specific keyword rankings and traffic on specific keywords instead of focusing on what their customers actually want. This change is helping shift the focus back towards customers. Previously tracking branded and non-branded traffic was as straight forward as filtering organic traffic based on what people searched for. For example if someone searched for “Contrado Digital” then this is clearly a branded search so they already know about the brand. 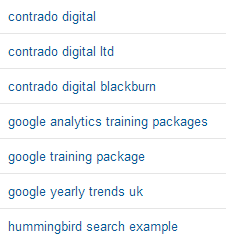 Anyone who searched for something more generic such as Search Engine Optimisation Blackburn, then this would suggest that they may not know about the Contrado Digital brand at present, so this is a good opportunity to drive new customers. This is no longer possible with the rise of (not provided), which leaves us with a change in how to understand website visitors. Often branded search queries will land on the homepage of your website, meaning that we can now use this as a new way to classify branded and non-branded search queries. What I would suggest here is to check what this looks like for your individual website as it may be that branded visitors land on various pages throughout your website. Thankfully the data is still available within Google Analytics from prior to the change, so this is easy to break out and check how your customers behaved prior to the reporting change. What we have found across a range of industries is that often the majority of branded search traffic does land on the homepage which makes it easier to monitor non-branded search traffic, since they land on other pages through the website. This new classification of branded and non-branded traffic can help to fully understand how things are performing over time. The official reason Google has given behind this change is due user privacy although this doesn’t quite stack up as the keyword level data is still available within Google AdWords. This suggests that Google is trying to push more businesses to use the AdWords platform to gather this additional data about what keywords users are searching for. We may never know the real reason behind this change, although it is going to be interesting how this develops over the next 12 months. Who has this change impacted? In summary, everyone. Everyone who uses Google Analytics and other web analytics packages has been impacted by the (not provided) change at the same time. Unfortunately there is nothing that anyone can do at present to retrieve this data so it is important that businesses adapt to this change to look at new ways of reporting on results. 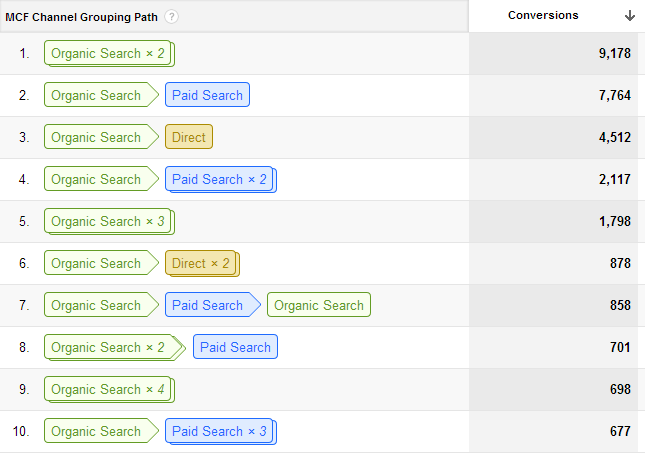 While the data may have disappeared from Google Analytics, there is some data still present within Google Webmaster Tools. While this data is no-where near as accurate as Google Analytics, it can help provide a guide as to what keywords visitors are searching for before landing on your website. Google Webmaster Tools can certainly still provide content ideas and good estimates about what search queries customers searched for prior to seeing your website within the search engine results pages. 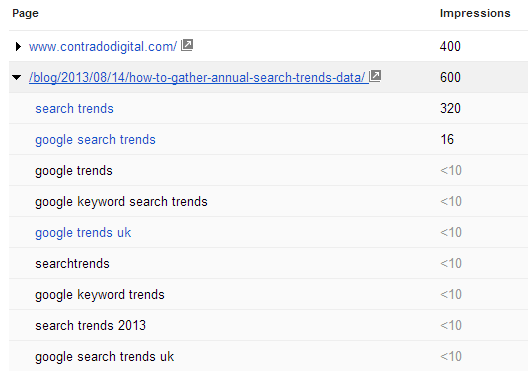 It will be interesting to see how this reporting develops over time as Google may add in additional data here. Often businesses will simply look at the conversions and traffic levels from an individual website visit from different traffic sources. Honestly though, think back to when you booked your last holiday, did you – in a single session – go to a hotel booking website, find the exact hotel you wanted in the exact location and book there and then? No, I didn’t think so. The whole user journey takes time. First you start of researching holiday destinations on various websites. Then you research holiday packages or different hotels available, again on different websites. You may then want to discuss the options with your partner or family another evening when you have the time. So you may then come back to the website again in a few days to actually purchase your holiday. The way that Google Analytics tracks conversions and revenue levels by default is using ‘Last Click Attribution’ which in basic terms means that a user clicked through to your website, then purchased during that same visit. The example I have just outlined above though shows that this is often not how customer behave. As you can see in the image above, customers often visit the website multiple times prior to converting, and from multiple traffic sources. 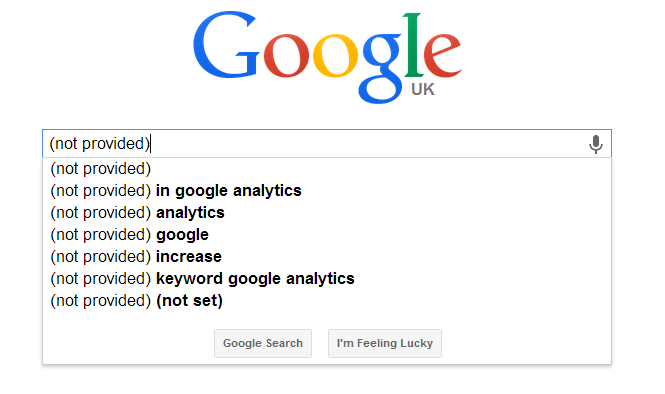 This again needs to be a key focus to accurately reporting on results from Search Engine Optimisation work. The assisted conversions data is extremely powerful and can really help you to place a more accurate return on investment figure towards your marketing spend on different channels. Hopefully this helps you understand all about (not provided) and how this change needs to be adapted to so you can report accurately on results for your business. If you have any other questions about (not provided) then leave a comment.